The 5/8” real brick face offers increased design freedom. The new Authentic Brick by Meridian Brick, first displayed at IBS 2018, is Meridian Brick’s answer to the growing popularity of thin brick veneers. 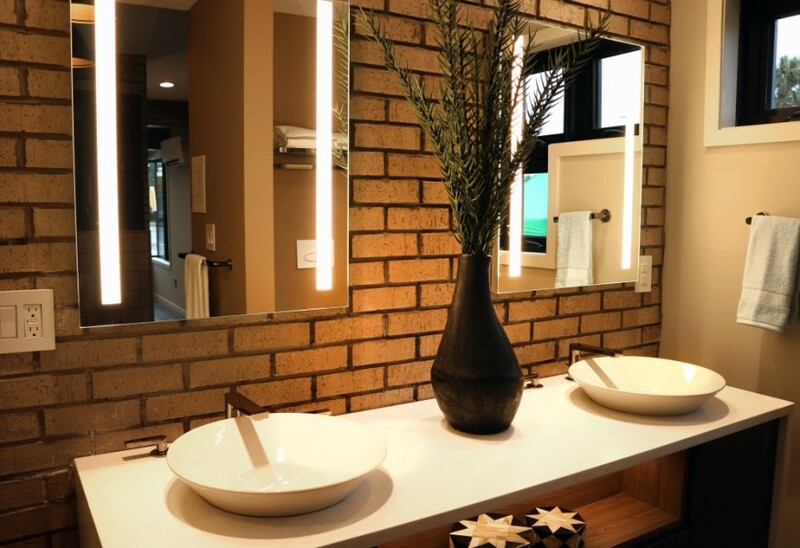 The Authentic Bricks are made of exactly the same VOC-free, 100% fired clay as Meridian’s full-bed depth bricks, but are three inches thinner and 70% lighter than traditional brick. The brick’s 5/8” profile saves floor space that would otherwise be lost in brick installation, and allows for easier installation, doable by DIYers and professionals alike. Its light weight makes it easier to handle, and cuts down on its overall transportation cost. The product is suitable for interior and exterior applications alike, including ceilings, exterior gables, and accent walls.